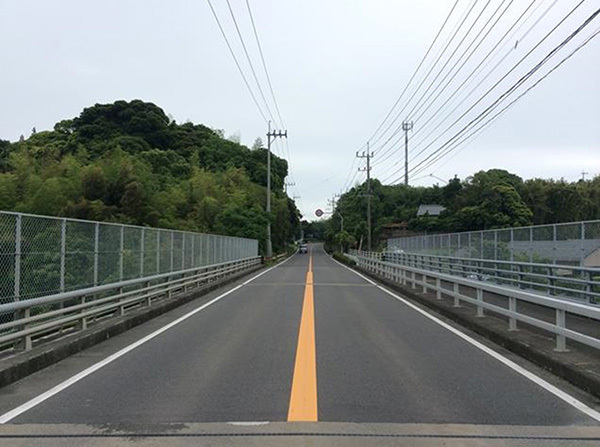 REKIPHALT SUPER is a polymer modified asphalt type III-W with an outstanding resistance to stripping and workability which is used in bridge surface paving (dense grade compounds and SMA compounds). Because the minimum compacting temperature is lower by around 30°C compared to compounds that use normal polymer modified asphalt type III-W, a long compaction work time can be secured even at times when the asphalt compound temperatures tend to become lower, such as during winter and at night. 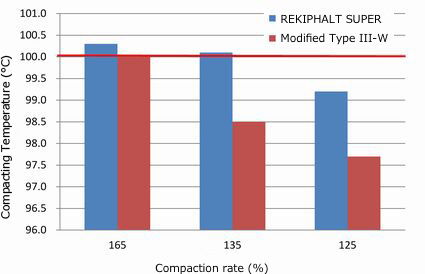 Compared with polymer modified asphalt type III-W, REKIPHALT SUPER has the following features. 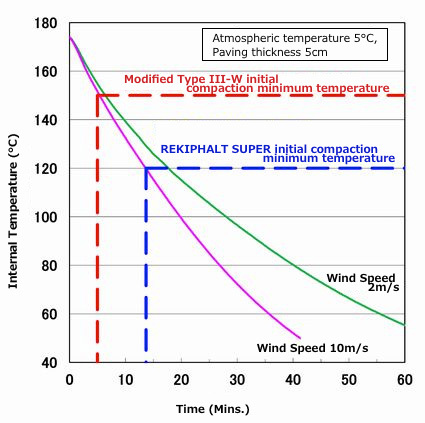 It is possible to lower the initial compaction minimum temperature by around 30°C. Even under demanding conditions such as construction at night in winter, compaction work can be carried out with a sufficient time margin. Because it is easy to obtain the specified compaction rate, and since it is difficult for consolidation settlement to occur after going into service, level changes will not easily occur. The standard properties and conditions of polymer modified asphalt Type III-W indicated in the Pavement Design and Construction Guidelines are satisfied, so that a high stripping resistance and rut resistance can be expected. The time is approximately 2.5 times longer than for the Modified Type III-W, so that an adequate compaction time can be secured.